Car 160 in orange in downtown Danville, on the F East Fairchild line. Instead of a large letter on the corner of the car roof, there is a similar large letter denoting the route on the curb side of the front dash, with a light mounted above it for night visibility. 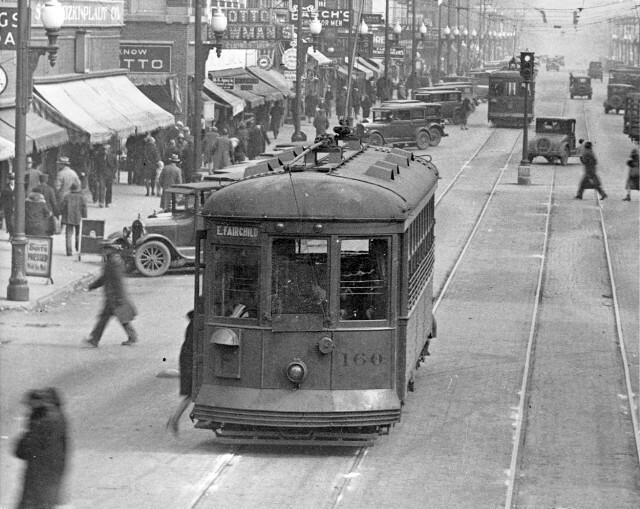 Note the early traffic light behind the streetcar.